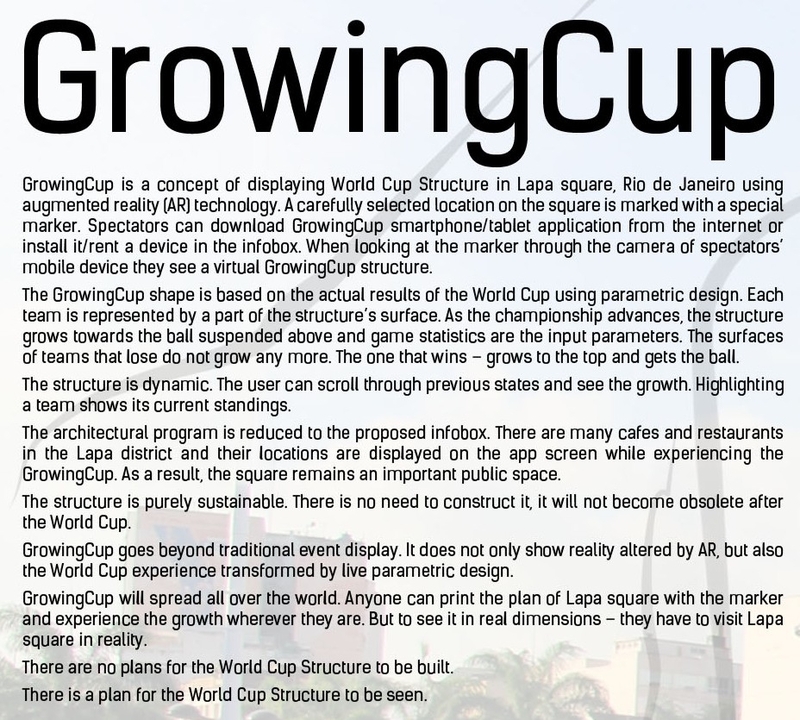 GrowingCup is an [AC-CA] Architectural Competition Concours d’Architecture submission. 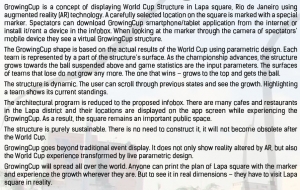 The aim was to design a free standing World Cup Structure in Lapa square in Rio de Janeiro that would be exhibited for the 2014 FIFA World Cup. 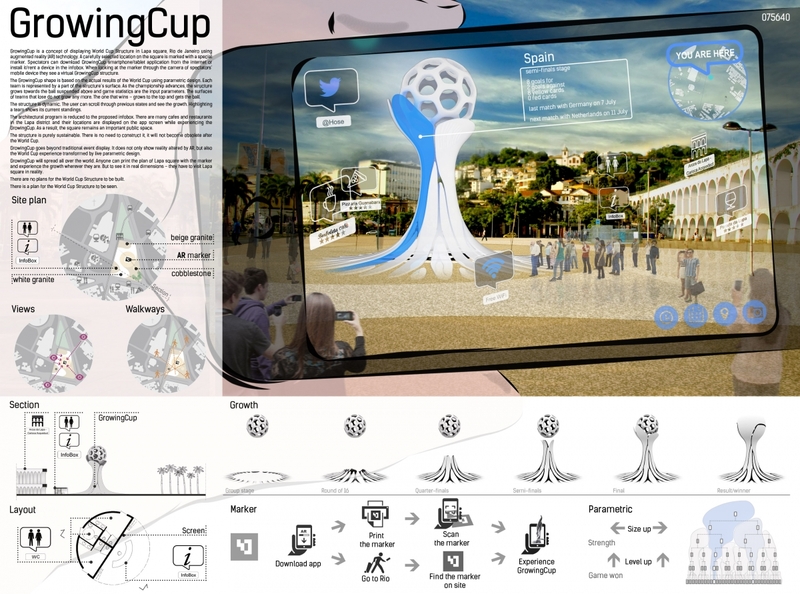 We proposed a virtual GrowingCup. 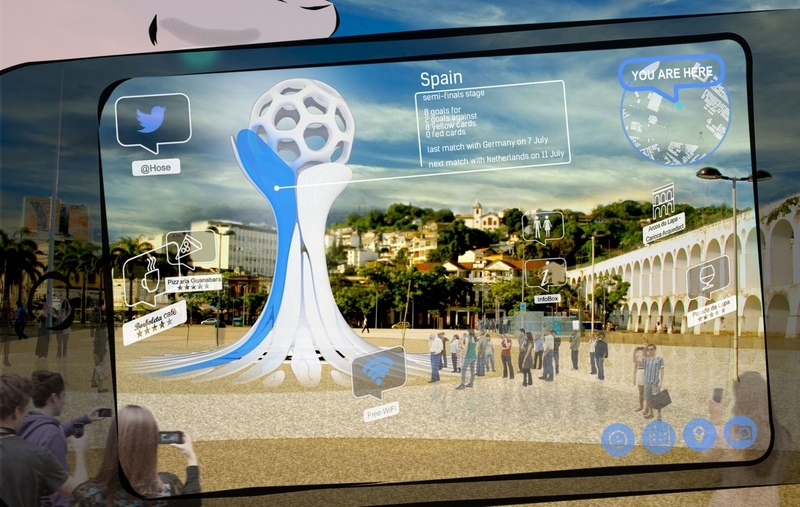 The idea was that at the square there would only be a painted marker, which then would allow to see the structure in augmented reality (AR) through the special application on cell phone. The structure would represent a football hovering above the plaza. Then from the ground there would be a surface that grows upwards with each round of the championship. 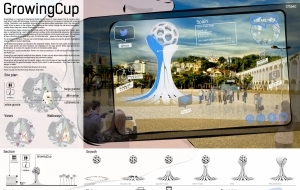 Each team would be represented as a part of the surface. Once a game was won the teams area on the structure would become larger. When the team loses out – its surface would not continue to grow any more. In the end the surface representing the winner of the 2014 FIFA World Cup would embrace the ball. To see the structure one would have to be at the square and look through the screen of their phone. But also other spectators around the world could recreate the experience. All they would have to do is to print the marker and look through the camera of their device. With this design we wanted to promote sustainability by creating a structure without the use of real materials. 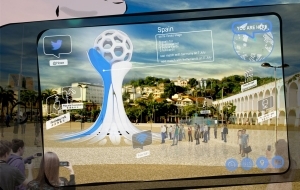 We also aimed to have an interactive and dynamic design, that would change throughout the games.